How would you like to live in a beautiful home that will attract the attention of by-passers and will stand out in your neighborhood? Then painting your home is the solution! With the proper color selection, you can transform your ordinary looking home into a gorgeous one. If you are still confused whether or not to paint your home, then the following reasons might help you make an informed decision. Curb appeal is the overall attractiveness of your home as viewed from the street. Painting the walls, casing and trim is an affordable and fast way to transform the overall appeal of your home to those passing by. 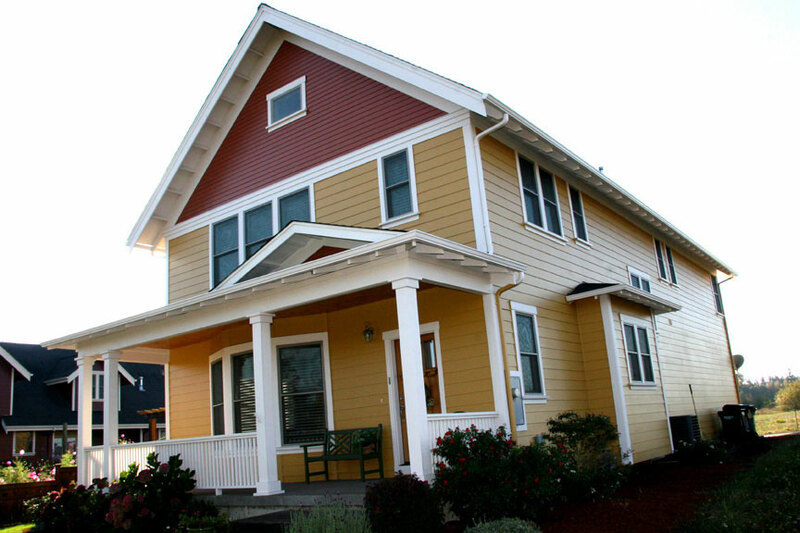 Coupled with exterior siding, painting can give you that unique look that your neighbors will be asking you about! In case you are going to sell your home in the future, newly painted homes always attract more attention. Moreover, if you intend to sell your property, repainting can increase the overall value to it without making a large financial investment. Whether you simple apply a fresh coat or change the color, correctly applying paint will make your home look just like new! Painting the interior is an effective, fast, and easy way to improve not just the look but also the feel of the home. Painting the interior of your home colors you love can appeal to your senses, increasing your serenity and comfort. Did you know the color of your walls can influence your state of mind as well as your mood? Typically, neutral tones make a welcoming and warm atmosphere while the bight tones can create an energetic, vibrant and fun living space. Your home is a large investment and you surely want to protect it inside and out. Exterior and interior painting doesn’t only bring aesthetic appeal to your home, it also serves as a barrier to the elements and normal wear & tear. Your home’s exterior is prone to damage due to the exposure of destructive elements such as gusty winds, hard rains, and powerful sun rays. Over time, these elements can cause the walls to deteriorate and peel. High quality paints such as Sherwin Williams and BEHR are capable of protecting your home, saving you from expensive repairs. Painting your home can be a simple task, done by your everyday do-it-yourselfer. However, if you doubt your skill and you really want to get the best out of your painting investment, then it will help if you give the job to the professional. Michael Angelo Exteriors has over 25 years of interior and exterior painting experience. We offer free estimates and would love the chance to beat our competitors in both price and job quality. Contact us today for more information or a free quote on your painting job!